Wendy Williams has always kept things all the way real with her audience. Some of her fans have wondered why she's so open with the world, with many believing that her rumored family drama has worsened thanks to all the media coverage. Back in December of last year, it was reported that Kevin Hunter, Wendy's husband, had gotten his longtime mistress pregnant. Almost directly after those rumors surfaced, Wendy took an extended hiatus from her show and now that's she's back, she's continued to keep things 100 with her fans. Yesterday, the talk show host revealed that she's been staying in a sober living facility, getting help from a coach around the clock. She has previously struggled with cocaine addiction and this is the first time she's seeking professional help. According to Bossip, her relapse was sparked by all the crazy events happening in her life. Take this information with a grain of salt -- after all, the source doesn't have the best track record when it comes to exclusive scoops -- but it appears as though Wendy's drug relapse was caused by her husband reportedly refusing to leave his mistress, Sharina Hudson. 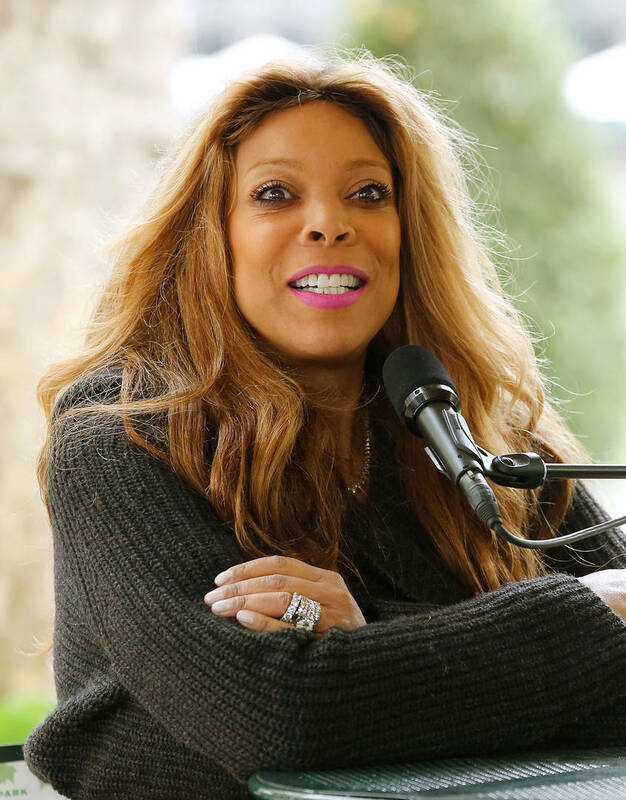 According to Bossip, Wendy Williams hired a private investigator to follow her husband around and see what he was up to, which is how she found out about the baby. When she confronted Hunter about his alleged cheating, Kevin reportedly refused to dump his mistress. During their argument, Wendy also reportedly fractured her shoulder after falling. According to the source, Hunter is saying that "he has the ring, the girlfriend and the baby," and that's how Wendy knows her husband doesn't care.